.... Cleo, I'm going to zig and when the hoomin tries to zag you bag them! We need a full crew at the pits on M*nd*y! It's a pity there are so many irresponsible humans out there. 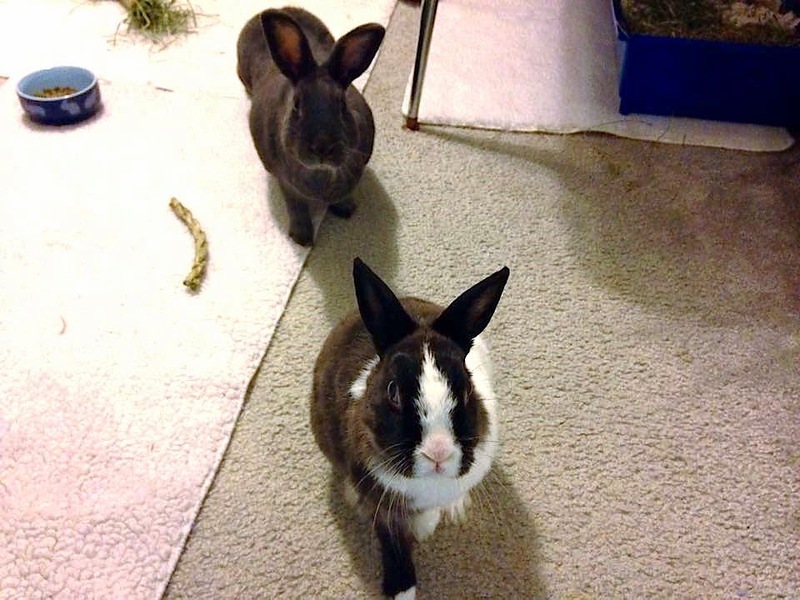 They've no sense of duty, propriety, their station (wait until Fleetie hears that), and they flaunt the norms of all civilized bunny servitude. I mean look at what the bunnies have to go through. It is just a needlessly tough day for everyone/bunn. Indeed it is a pity, AJ. Additionally, the hoomins also fail to appreciate the benefits of being a good bunny slave; think of how much more awake and alert they will be compared to their fellow hoomins on any given M*nd*y as they need to be mindful of their ankle health during such zig and zag exercises. You hoomins there are slacking at the Tar Pits - too much talking and philosophizing. Get back to work or we'll all pay the consequences. Bunnies use a very broad brush. A shame that bunnies have to work so hard to get hoomins to work. A darn shame. A broom, RG. That thing the are using on us is called a broom.